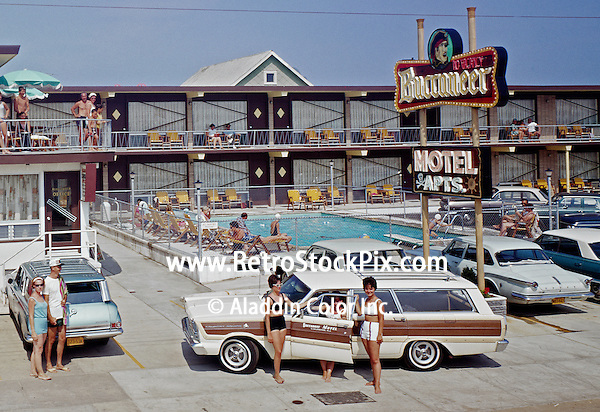 Buccaneer Motel, North Wildwood NJ. Neon sign and old cars. 1960's.